Here it is just in time for Austin round Up 2012. The American Pin Ups promotion magazine!! Pick it up now while supplies last! 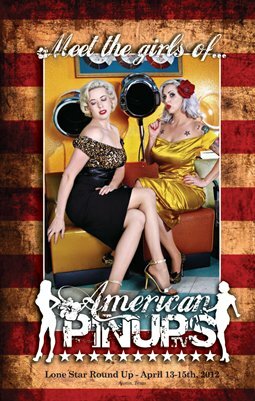 Features the girls of American Pin Ups. flossie Carmichael, Lorelei Lee, and Kristi Fisher. A great keepsake picture book as a memento of Austin Round Up 2012.